Modern and contemporary British art racked up £195,000 at a Roseberys (23% buyer’s premium) sale, with 80% of the 252 lots sold. The January 24 sale, which was the first to be held under ex-Christie’s picture specialist Elizabeth Comba, could have generated even more had the potential sale-topper – a work by contemporary art duo Gilbert & George – got away. It was estimated at £60,000-100,000. Instead, Mod Brit painter Howard Hodgkin (1932-2017) took top honours with Painted Souvenir, a one-off oil on silkscreen work from 1988. It was painted over an artist’s proof of his 1981 screenprint Souvenir, an abstract edition inspired from his time in India, with examples in the Tate and the British Council Collection. Measuring 4ft 2in x 4ft 11in (1.27 x 1.5m) and in an original frame painted on by the artist, it sold to a private buyer in New York for £15,000 against a £5000-8000 estimate. This was a good result given that the work appears to have been left unsold in March 2009 at Bonhams Knightsbridge where it failed to conjure up interest against the same estimate. Another top-seller at Roseberys was a 1959 work on paper by one of Hodgkin’s art teachers, the celebrated Ulster painter William Scott (1913-89). 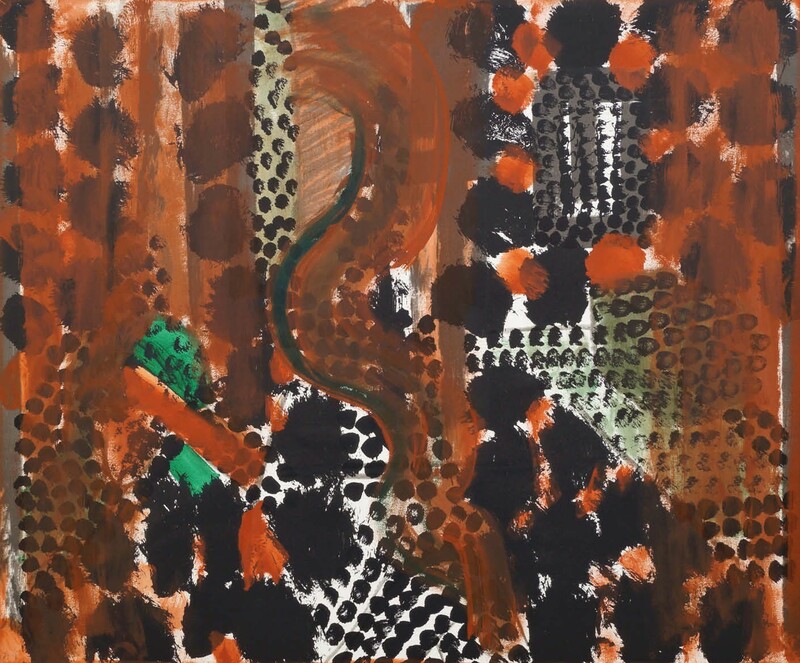 Painted in red, black and white, the untitled 11½ x 15in (29 x 39cm) gouache showed the heavy influence of Abstract Expressionism and Scott’s good friend Mark Rothko (1903-70). With a distinguished provenance to Victor Waddington (1907-81), the British art dealer credited with helping the cause of modern art in Ireland, it sold above estimate at £13,500 to a private collector in Dublin. Elsewhere, two oils by Mary Potter (1900-81) got away from the collection of the late British classical soprano, Jennifer Vyvyan. A fittingly musical work titled Garden scene with a music stand and recorder sold to the London trade on bottom estimate at £10,000, while Nocturne, a less vibrant and more abstract scene, sold within estimate for £5800. 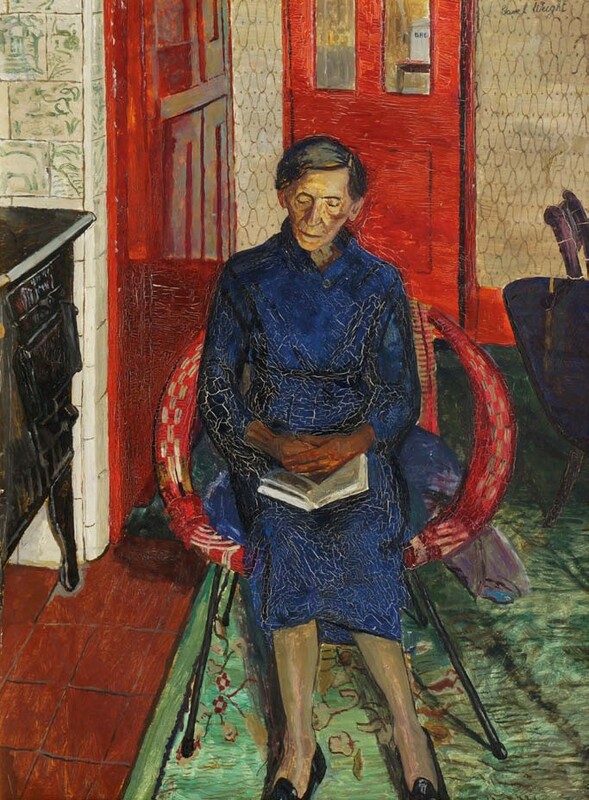 Five works by Carel Weight (1908-97) were included at Roseberys, led by a penetrating portrait titled Mrs Fontana (No 3). The 2ft 8in x 2ft (81 x 61cm) oil on board is closely linked to another portrait of Mrs Fontana held in the Government Art Collection, purchased from the Leicester galleries in 1947. The connection between the portraits propelled it above the £500-700 estimate to £5200.